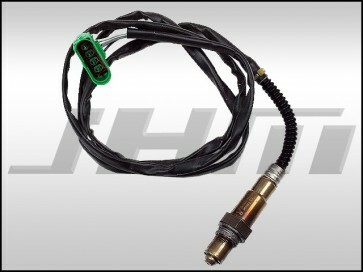 Bosch an OEM supplier often consolidates part numbers and this is one of those cases, this sensor works on either side and comes with a connector that will need to be swapped out on the engine harness in most cases. This updated part fits either side for all the vehicles mentioned in our fitment chart below and more. We highly recommend replacing both as a pair. NOTE: Picture does not show the connector but it comes in the kit. Please Note, when diagnosing your vehicles: Bank 1 = passenger's side/right, and Bank 2 = driver's side/left.